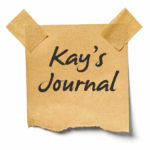 Kay’s Journal: Pencils for My Birthday | Welcome to the new Journalverse! The merry month of May is my birthday month (the 12th), Mother’s Day (I was born on Mother’s Day! 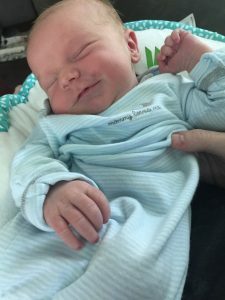 ), and now the birthday (May 7th) of our family’s newest addition, Elam James Schroeder, son of my niece Kelly and her husband Jeremy. So far Elam is a little love bug who weathered a 36-hour labor like a champ (as did his mom!) and now can’t get enough of snuggling in the crook of his mama’s neck. My family has been asking me what I want for my birthday, and I never know what to say because I have simple tastes and minimal material desires. But now I know what to tell them! I want pencils, please! A smile erupted and his eyes brightened. 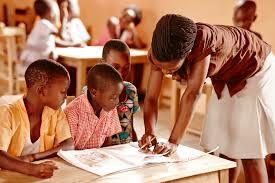 I then saw the profound power and promise brought through something as small as giving a pencil to just one child. Over the next five years, I backpacked through more than 50 countries, handing out thousands of pens and pencils across six continents. These pencils, these small pieces of potential, led to powerful conversations with local parents and children across countless cultures and languages. From years of listening to their words, it became clear that there was a need for an international nonprofit that was led on-the-ground by a staff of locals from within each country, required village participation in each school, and deeply supported, trained and tracked each student to ensure their success. These are the guidelines on which Pencils of Promise was founded in October 2008. Since starting with just a $25 deposit, we have now built more than 400 schools. In the process, we have learned a lot. We’ve learned that education is a living, breathing entity that with the right nurturing, evolves into something spectacular. We’ve learned that every piece of its growth is a challenge and that each pencil, each dollar, each supporter is essential. Pencils of Promise is now a global movement of passionate individuals, many of which are the most dynamic and impactful leaders we have ever seen. They are committed to supporting a world with greater educational opportunity for all. Thousands have joined us, making contributions through acts both large and small. 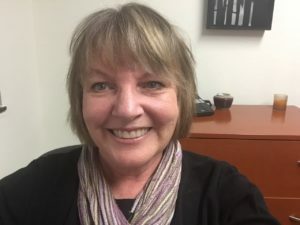 The mission of the Center for Journal Therapy is to offer education and training in the art and science of journal writing to all who desire self-directed change. It is now time to expand our mission to include education in literacy and numeracy for children who desire the promise of a pencil. Will you join me in celebrating my birthday by helping to actualize the promise and potential of young minds? Other than Elam, I can’t think of a better gift! Thank you! Your blogs always inspire, dear Kay. This one shimmers! Happy birthday my friend. Thank you, Peggy, my wonderful friend and forever mentor! Sounds like a wonderful idea and happy birthday! I’ll look them up. When I was a Fulbright Scholar to Egypt in 2005, I gave a pen to a young barefooted Egyptian boy, who was absolutely delighted by the gift. We take so much for granted, and your increasing our awareness about this opportunity to make a contribution is just like you, and in perfect synchronicity with all that you have manifested in your life. Thank you for donating your birthday to such a lovely cause! In the years when I taught Human Potential (using as text How to Think Like Leonardo da Vinvi), I gave each student a Black Warrior pencil. The pencil is one of the things that made the Renaissance possible. Never under estimate the power of pencils, and writing. Linda, what a brilliant context for a simple pencil. Pencils change the world. I know one changed mine.